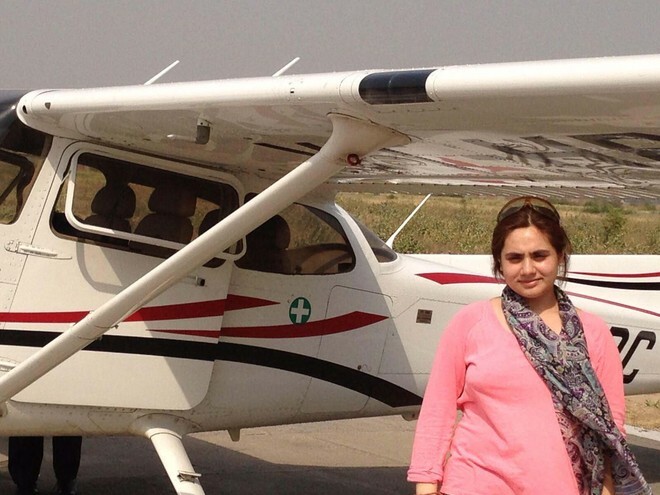 Ms Tanvi Raina is the first Kashmiri and the youngest girl who become a Commercial Pilot. It is really a proud moment for the Kashmiri community and the inspiration for other young girls. No doubt girls are in every field at this time of age whether it’s IT Sector or Construction Sector or a Medical Field, girls are rocking everywhere. Now, Tanvi proved that Girls can rock and top and can show their talent in the field that usually boys used to dominate. There are very less number of girls who are Commercial pilots. Not talking about the Kashmiri community, MS Tanvi Raina has set a milestone for the girls irrespective of their community that girls can dominate in each and every field where boys used to dominate. Usually we have seen that girl prefer to be Air Hostess instead of being a commercial pilot. But this girl has taken a step ahead and became a commercial pilot. She has done her schooling from Convert Jesus, New Delhi and Tanvi Raina completed her flying training from Haryana Institute of Civil Aviation (HICA), Karnal. Apart from this, Tanvi Raina has got a very good talent in dancing. She is a versatile Kathak dancer and has performed in various Kathak dance concerts. Share your views on the comment box below and share this thing to all in your Facebook groups and other social media sites, so that everyone would come to know about the Kashmiri girl’s talent.